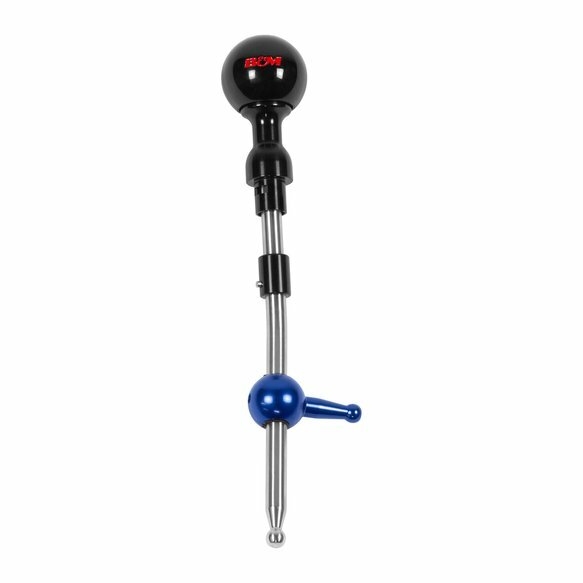 The B&M Precision SportShifter for the 2018-2019 Jeep Wrangler JL with 6-speed (AL6) manual transmission includes a 303 stainless steel stick with an anodized aluminum pivot, helping reduce the throw by roughly 18% over the factory shifter and provides a shorter more positive feel when shifting gears. 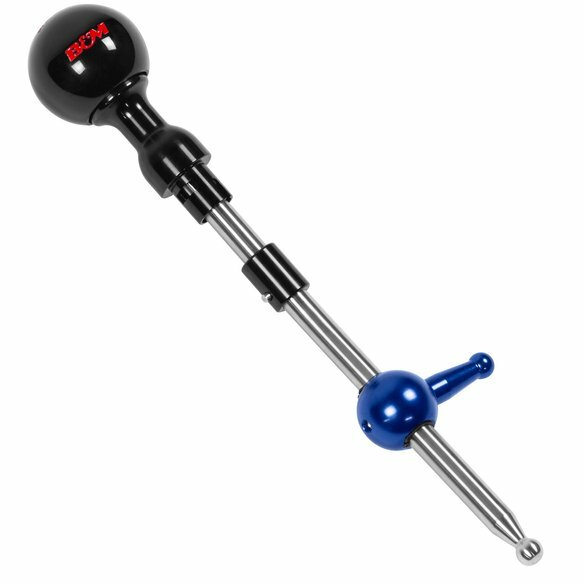 The factory leather shift boot is retained and attaches to the new black anodized aluminum lockout slider to smoothly and easily actuate reverse. 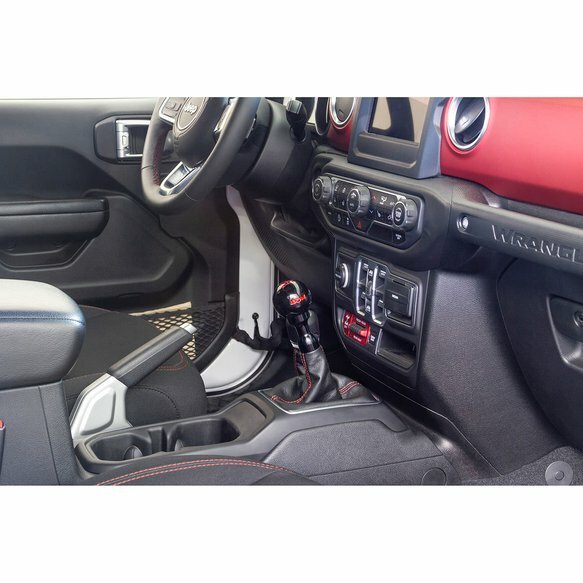 We've included a black round shift knob with the shift pattern on top and B&M logos on the sides, both filled in red to tastefully compliment the interior of the JL. 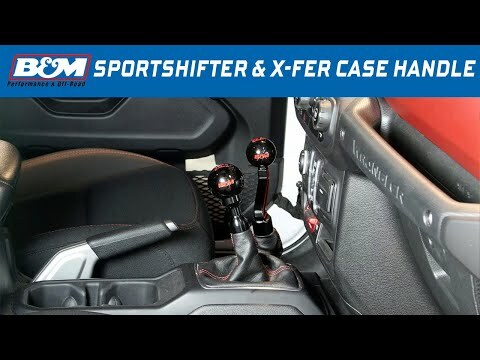 The SportShifter attaches directly to the OEM shift cable, includes installation instructions and all hardware necessary for an easy at home installation.